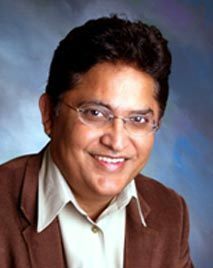 Dr. Lal Bhagchandani is a highly regarded, board certified pulmonary and sleep specialist who has been practicing in this area for over 15 years, consulting in pulmonary, critical care and sleep medicine. Dr. Bhagchandani completed his Internal Medicine residency training at Hurley Medical Center (Michigan State University) in Flint Michigan. He did his Pulmonary/ Sleep Disorders fellowship at Royal University Hospital/ University of Saskatchewan in Saskatoon, Canada. He is the Medical Director of the Sleep Disorders Center at local Hospitals. Dr. Bhagchandani and his wife, along with their two children reside in Parkland. Residency: Internal Medicine Hurley Medical Center (Michigan State Univ.) One Hurley Plaza, Flint, Michigan 48503. Meeting in Flint, Michigan 1993, and ACP meeting in Traverse City, Michigan 1993. Hurley Medical Center, Flint, Michigan in 1993. Frank and Hodge’s meeting in Flint, Michigan 1994. Lumbosacral Plexopathy Induced by Thrombolytic Agent rTPA: Poster presentation in ACP meetings and Frank and Hodges meetingsin Flint, Michigan 1994. Award of Recognition: Awarded by Frank and Hodges Forum, Flint, Michigan 1994-95. Poster presentation in ATS meeting in Chicago in April 1998. Published in Thorax 1999. Vol. 54; page 711-713.